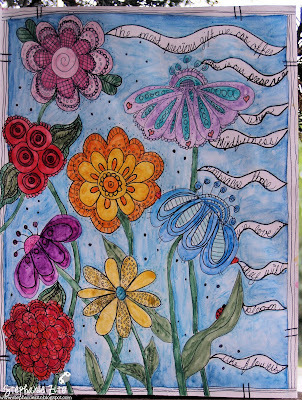 Here's a page inspired by Christy Tomlinson's Creative Doodling 102 (week 2) of the She Had 3 Hearts Art Journal e-Course. This was my first attempt at Doodling and then I coloured in my doodles with watercolor pencils. Since you've taken a few of her courses and I'm loving seeing what you are creating... which one would you recommend for just learning more about mixed media? Wow! These are gorgeous!! What a talented girl you are. I'm impressed. 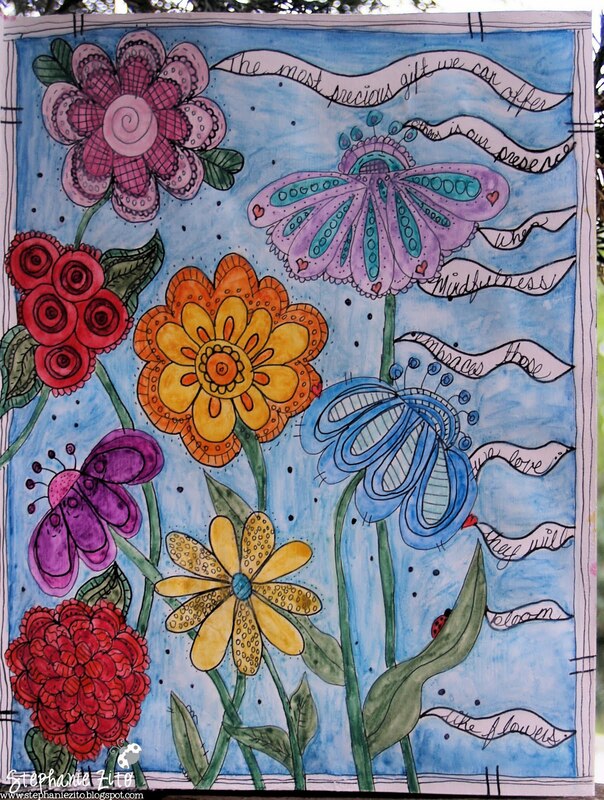 Beautiful colours and beautiful doodling...my doodles usually look a lot like stick people! So, here I am, straight from your Flickr page, and I'm so glad i made the trip! Your work is wonderful. This piece reminds me very much of some wonderful paintings I saw once on Absolutely Beautiful Things. I can't remember the artist's name, but I think your flower doodles would be Absolutely Beautiful in a very large format also.